Barcelona, a city visited by millions each year, is a bustling space of colours, energy and vibrancy. With spectacular, surreal architecture and streets you can get lost in, there’s so much to do and see here. I headed to the city of Barcelona with barely any itinerary planned out; only a plan to explore the streets of the famed European city. Perhaps at some point or the other, in travel bucket lists or conversations about top cities in the world, Barcelona has found a well deserved mention. Located in the autonomous Catalonia of Spain, the heritage and history of the city is as rich as its cultural complexities. Whether modernista architecture or the old town that dates back to pre-Roman times, the character of the city is intricately woven in its architecture. It is a city that opens itself up to the curious, with tales of civil wars, Antoni Gaudi, artistic confluences, sport and cosmopolitan evenings. Much like the European big cities, there’s always something happening in Barcelona. Lively debates on football, conversations about Catalonia and independence, gastronomic discoveries, or interactive and pulsating marketplaces – the streets of Barcelona are abuzz with life. Before I set out to visit this popular destination I had heard so much about it that I decided to explore it on foot – something I recommend any visitor to the city to do as well. Thus, I set out to explore one half of the city through a walking tour that was recommended by my hostel – a trustworthy way to learn while soaking in the beauty of the city’s lanes. Starting from Plaça de Catalunya, the point that marks the gateway between the older parts and the newer district of Eixample, the route to the Barri Gotic or the Gothic Quarter began. Many a legends were spoken about as we passed La Rambla, the long walking street of the city, into an area that dates back to Roman and pre-Roman, medieval times. We arrived at a fountain, in one of the many squares within the area, which goes by the name Plaça Sant Felip Neri. Locals passing by were perhaps not as awestruck as I was while staring at these walls that echoed history through the ages, with the fountain being a place that has served as a meeting point for lovers, a space of interest for music videos and movies, apart from being a crucial point to learn a little about the Spanish Civil War. However, as my guide said, this incidentally happens to be a confusing place to reach, often many have lost their way to get here while the one who waits loses their patience and heart in the process. To get to this square, we also passed the Jewish quarter, an interesting space after which many colourful souvenir shops and vintage items can be found. Proceeding to the rest of the sites, we arrive at Santa Maria del Pi, a spectacular example of Gothic church architecture. 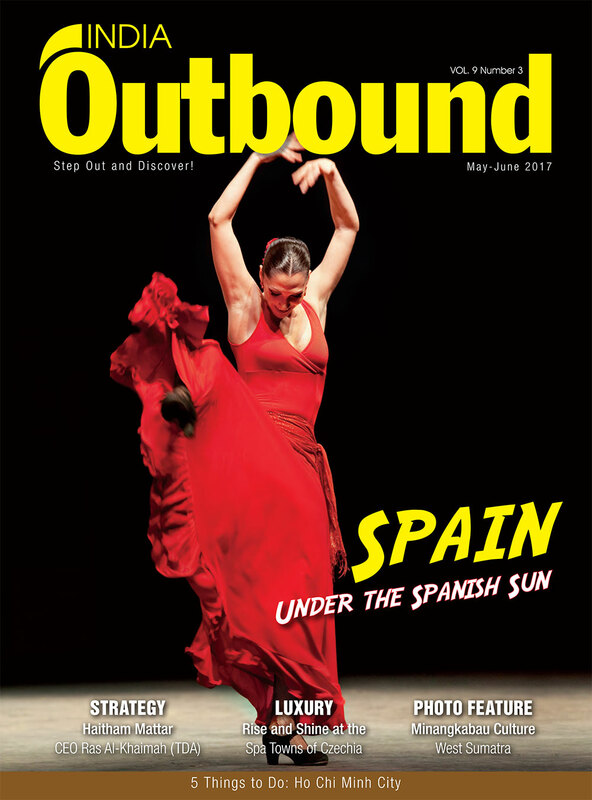 I read about the flamenco performance that is slated for the evening – with a student discount applicable too. Meanwhile, a few turns and narrow lanes of stone led us to the cathedral of Barcelona, whose façade impresses in its imposing structure. More so, with a busker picking notes of ‘Entre Dos Aguas’ by famed guitarist Paco de Lucía, the city has painted itself in the image I had hoped towitness. The guide, a recently graduated youth from the United Kingdom who has decided to settle down in Barcelona owing to his love for the city, takes us through more lanes and tells us we are headed to the Old Port. On the way are some crucial buildings to be seen, such as the Great Royal Palace and onward to a significant square in Barcelona, which has seen a lot of political activity – Plaça de Sant Jaume. Placa de George Orwell, also called the George Orwell square, serves as a point to stop for discussion. Orwell, known for his personal participation in the Spanish Civil War, and his account of the same titled Homage to Catalonia, has been commemorated with a square to his name in the city. Ironically, CCTV was installed there that garnered many to exclaim ‘Big Brother is watching’, a phrase Orwell’s 1984 had coined eloquently. This square, also home to a few bars and an interesting sculpture, makes way to the Old Port nearby.Yet, two things remain, a larger exploration of the modernista buildings and the night-time experience of this city. and intricacy of design and history that is involved in the church. A building that is still being made, the colours and curves and pillars of the church, with its different façades is a lot to take in at one go. Another Gaudi wonderland that is counted as a UNESCO world heritage site, the Parc Guell also comes as a must-see space, a popular space within the park being the monumental zone where iconic touristy-Barcelona pictures are taken. of the city. It is a good idea to share this dish, as it can be quite heavy. Another such classic and must-try food remains churros, deep fried fritters that come with powdered sugar and chocolate dips. However, beyond traditional dishes or full sized meals lies another experience that is associated with Spain – the ‘tapas’ culture. Barcelona remains no exception to this, despite not being the place of origin for the practice. Tapas, small bite sized samples of food, usually accompanied with a drink is quite the culinary delight as it leaves open the option of trying out all that one can see. I had visited Carrer Blai for drinks and tapas, a place frequented by locals and more friendly on the pocket than the commercial centre of Barcelona. With all that can be seen in Barcelona, no itinerary, or lack thereof, will be enough. There are various other parts of the city that must be explored too, such as the Parc de Montjuic, the numerous markets and endless art museums and centres. The city, home to the famous football club is also where the Camp Nou stadium is located. There are countless such spots, sites and places to see in this city, and perhaps the best way to explore this city is on foot.